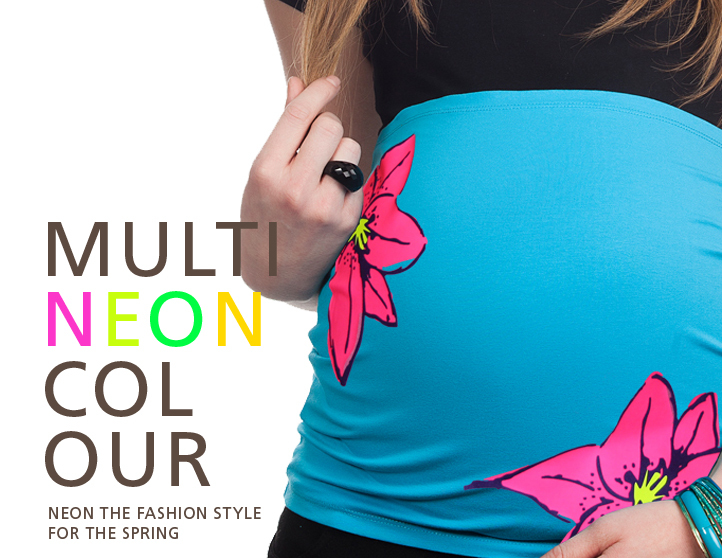 Look radiant with your maternity belly band! Every woman wants to look good and feel comfortable. We can help you do so. The maternity belly band is a great piece of clothing that feels comfortable during your pregnancy. The belly bands are made from a lightweight, stretch fabric that moves with you and helps everything to fit snugly around you. Available in a variety of sizes, so you can choose the one that fits your belly best. We offer 12 different colours and styles, such as basic & gathered, maternity belly bands with print or text, with Swarovski or bling and personalised belly bands. We also offer T-shirts for daddy. To create a unique look, you can personalise your very own belly band! Just go to the category Design4you and follow a few easy steps to create your own look. If you want to keep it simple, you can also choose a belly band in one of the 12 vibrant colours available in our basic collection. With just a few bellybands you can create your own hip, stylish and fashionable look with your maternity clothing - for any occasion: everyday wear, lunch with the girls or even for a night out! We offer the option of sending the package to a different address than the invoice address – perfect for surprising someone you know. Your order will fit through the letterbox and will be waiting for you when you get home. No more staying in to wait for the postman! The basics are perfect for any occasion. You can wear it to the office, on a fancy night out or in the comfort of your own home. We use a high quality fabric made from 92% Viscose and 8% elastane. It is soft, very comfortable to wear, colourfast and it will not lose its shape. Did you know that you can design your own belly band? Being pregnant is something special, so why not wear something special?? news about the collection and sales.